This agreement applies as between you, the User of this Website or Purchaser and Meters UK Ltd, the owner(s) of this Website. Your agreement to comply with and be bound by these Terms and Conditions is deemed to occur upon your first use of the Website. If you do not agree to be bound by these Terms and Conditions, you should stop using the Website immediately. “Meters UK Ltd” means Meters UK Ltd, Whitegate, White Lund Industrial Estate, Morecambe, LA3 3BT United Kingdom. “Website” means the website that you are currently using (meters.co.uk) and any sub-domains of this site (e.g. subdomain.meters.co.uk) unless expressly excluded by their own terms and conditions. If Goods are being ordered from outside Meters UK Ltd’s country of residence, import duties and taxes may be incurred once the Goods reach their destination. Meters UK Ltd is not responsible for these charges and we undertake to make no calculations or estimates in this regard. If a Purchaser buying internationally, they are advised to contact their local customs authorities for further details on costs and procedures. The Purchaser of the Goods will also be the importer of record and as such should ensure that the purchase is in full compliance with the laws of the country into which the Goods are being imported. Please be aware that Goods may be inspected on arrival at port for customs purposes and Meters UK Ltd gives no guarantee that the packaging of the Goods will be free of signs of tampering. Subject to the exceptions in Clause 5 of these Terms and Conditions, all Content included on the Website, unless uploaded by Users, including, but not limited to, text, graphics, logos, icons, images, sound clips, video clips, data compilations, page layout, underlying code and software is the property of Meters UK Ltd, our affiliates or other relevant third parties. By continuing to use the Website you acknowledge that such material is protected by applicable United Kingdom and International intellectual property and other laws. Subject to Clause 6 you may not reproduce, copy, distribute, store or in any other fashion re-use material from the Website unless otherwise indicated on the Website or unless given express written permission to do so by Meters UK Ltd. This Website may contain links to other sites. Unless expressly stated, these sites are not under the control of Meters UK Ltd or that of our affiliates. We assume no responsibility for the content of such websites and disclaim liability for any and all forms of loss or damage arising out of the use of them. The inclusion of a link to another site on this Website does not imply any endorsement of the sites themselves or of those in control of them. Those wishing to place a link to this Website on other sites may do so only to the home page of the site https://www.meters.co.uk without prior permission. Deep linking (i.e. links to specific pages within the site) requires the express permission of Meters UK Ltd. To find out more please contact us by email at sales@meters.co.uk. You acknowledge that Meters UK Ltd reserves the right to monitor any and all communications made to us or using our System. You acknowledge that Meters UK Ltd may retain copies of any and all communications made to us or using our System. You acknowledge that any information you send to us through our System or post on forums, chat or social media sites of Meters UK Ltd may be modified by us in any way and you hereby waive your moral right to be identified as the author of such information. Any restrictions you may wish to place upon our use of such information must be communicated to us in advance and we reserve the right to reject such terms and associated information. It is recommended that you do not share your Account details, particularly your username and password. Meters UK Ltd accepts no liability for any losses or damages incurred as a result of your Account details being shared by you. If you use a shared computer, it is recommended that you do not save your Account details in your internet browser. If you have reason to believe that your Account details have been obtained by another without consent, you should contact Meters UK Ltd immediately to suspend your Account and cancel any unauthorised purchases that may be pending. Please be aware that purchases can only be cancelled until they are dispatched. In the event that an unauthorised purchase is dispatched prior to your notifying us of the unauthorised nature of the purchase, Meters UK Ltd accepts no liability or responsibility and you should make contact with the Carrier detailed in the Purchase Information. Either Meters UK Ltd or a User may terminate an Account. If Meters UK Ltd terminates your Account, you will be notified by email and an explanation for the termination will be provided. Notwithstanding the foregoing, we reserve the right to terminate without giving reasons. If Meters UK Ltd terminates an Account, any current or pending purchases on your Account may be cancelled at the discretion of Meters UK Ltd. If such current or pending purchases are cancelled they will not be dispatched. Meters UK Ltd reserves the right to cancel purchases without stating reasons, for any reason prior to processing payment and dispatch. Any and all invoices are due for payment on the date shown on the invoice, unless alternative arrangements have been agreed between the Purchaser and Meters UK Ltd.
Interest on overdue invoices will be charged on a daily basis at a commercial rate at 8% above the base rate of the Bank of England obtaining at the time. Whilst every effort has been made to ensure that all graphical representations and descriptions of Goods available from Meters UK Ltd correspond to the actual Goods, Meters UK Ltd is not responsible for any variations from these descriptions. This does not exclude our liability for mistakes due to negligence on our part and refers only to variations of the correct Goods, not different Goods altogether. Please refer to Clause 16.1 for incorrect Goods. Meters UK Ltd does not represent or warrant that such Goods will be available. Stock indications are not provided on the Website. All pricing information on the Website is correct at the time of going online. Meters UK Ltd reserves the right to change prices and alter or remove any special offers from time to time and as necessary. All pricing information is reviewed and updated from time to time. Title in Goods will not pass to the Purchaser until the full purchase price for those Goods has been received by Meters UK Ltd. Title remains with Meters UK Ltd until payment is complete. If the Purchaser sells the Goods on to its own customers in any form, either as purchased from Meters UK Ltd or forming a component part of a larger Good, and any amount of the purchase price payable to Meters UK Ltd remains outstanding, the Purchaser must account to Meters UK Ltd for the proceeds of such a sale. The Purchaser is then required to hold such proceeds on trust for Meters UK Ltd until payment has been received in full by Meters UK Ltd. Meters UK Ltd reserves the right to trace all proceeds under the principles of Re Hallett’s Estate (1880) 13 Ch D 696. Once the payment date has passed, if any sums remain outstanding, Meters UK Ltd has the right to enter the Purchaser’s premises and remove any Goods which, by virtue of sub-Clause 14.1, remain the property of Meters UK Ltd. 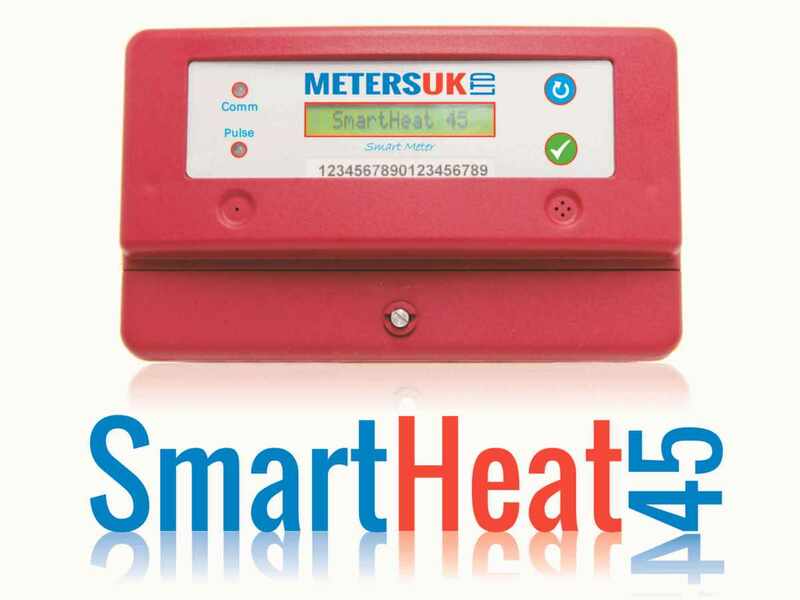 Meters UK Ltd will notify you by way of email when your goods are to be dispatched to you. The message will contain details of estimated delivery times in addition to any reasons for a delay in the delivery of the Goods purchased by you. 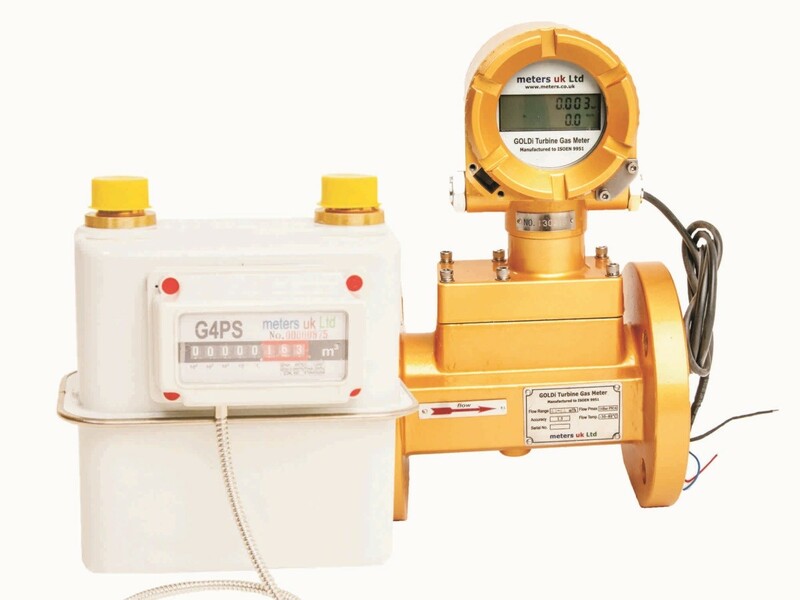 If Meters UK Ltd receives no communication from you, within 28 working days of delivery, regarding any problems with the Goods, you are deemed to have received the Goods in full working order and with no problems. Meters UK Ltd aims to always provide high quality Goods that are fault free and undamaged. On occasion however, goods may need to be returned. Returns are governed by these Terms and Conditions. If the Purchaser receives Goods which do not match those ordered, unless accompanied by an explanatory note detailing the changes, stating reasons for the changes and setting out your options, the Purchaser should contact us within 10 working days to arrange collection and return. Meters UK Ltd is not responsible for paying shipment costs. The Purchaser will be given the option to have the Goods replaced with those ordered (if available) or to be refunded through the payment method used when the Goods were purchased. Refunds and replacements will be issued upon our receipt of the returned Goods. If any Goods purchased have faults when they are delivered, the Purchaser should contact Meters UK Ltd within 28 working days to arrange collection and return. Meters UK Ltd is not responsible for paying shipment costs. Goods must be returned in their original condition with all packaging and documentation. Upon receipt of the returned Goods, the price of the Goods, as paid, will be refunded through the payment method used when the Goods were purchased. If Goods are damaged in transit and the damage is apparent on delivery, the Purchaser should sign the delivery note to the effect that the goods have been damaged. In any event, such damage should be reported to Meters UK Ltd within 10 working days and arrange collection and return. Meters UK Ltd is not responsible for paying shipment costs. Upon receipt of the returned Goods, the price of the Goods, as paid, will be refunded through the payment method used when the Goods were purchased. If the Goods have been dispatched or have reached you, but the Purchaser decides that they are no longer required, the Goods can be returned to Meters UK Ltd within 10 days of receipt. Goods can only be returned for this reason if their packaging remains unopened and the Goods can be re-sold, as new, without any additional work on the part of Meters UK Ltd. The Purchaser is responsible for paying shipment costs if Goods are returned for this reason. If the Purchaser wishes to return Goods to Meters UK Ltd for any of the above reasons, please contact us using the details on https://www.meters.co.uk/contact to make the appropriate arrangements. Meters UK Ltd makes no warranty or representation that the Website will meet your requirements, that it will be of satisfactory quality, that it will be fit for a particular purpose, that it will not infringe the rights of third parties, that it will be compatible with all systems, that it will be secure and that all information provided will be accurate. We make no guarantee of any specific results from the use of our Services. Whilst Meters UK Ltd uses reasonable endeavours to ensure that the Website is secure and free of errors, viruses and other malware, all Users are advised to take responsibility for their own security, that of their personal details and their computers. Meters UK Ltd reserves the right to change the Website, its Content or these Terms and Conditions at any time. Users and Purchasers will be bound by any changes to the Terms and Conditions from the first time the Website is used by them following the changes. If Meters UK Ltd is required to make any changes to Terms and Conditions relating to sale of Goods by law, these changes will apply automatically to any orders currently pending in addition to any orders placed by Purchasers in the future. Meters UK Ltd accepts no liability for any disruption or non-availability of the Website resulting from external causes including, but not limited to, ISP equipment failure, host equipment failure, communications network failure, power failure, natural events, acts of war or legal restrictions and censorship. To the maximum extent permitted by law, Meters UK Ltd accepts no liability for any direct or indirect loss or damage, foreseeable or otherwise, including any indirect, consequential, special or exemplary damages arising from the use of the Website or any information contained therein. Users should be aware that they use the Website and its Content at their own risk. Nothing in these Terms and Conditions excludes or restricts Meters UK Ltd’s liability for death or personal injury resulting from any negligence or fraud on the part of Meters UK Ltd. Nothing in these Terms and Conditions excludes or restricts Meters UK Ltd’s liability for any direct or indirect loss or damage arising out of the incorrect delivery of Goods or out of reliance on incorrect information included on the Website. Nothing in these Terms and Conditions shall confer any rights upon any third party. The agreement created by these Terms and Conditions is between you and Meters UK Ltd.
All notices / communications shall be given to us either by post to our Premises (see address above) or by email to sales@meters.co.uk. Such notice will be deemed received 3 days after posting if sent by first class post, the day of sending if the email is received in full on a business day and on the next business day if the email is sent on a weekend or public holiday. We may from time to time, if you opt to receive it, send you information about Meters UK Ltd’s products and/or services. If you do not wish to receive such information, please click on the “Unsubscribe” link in any email which you receive from Meters UK Ltd. These Terms and Conditions and the relationship between you and Meters UK Ltd shall be governed by and construed in accordance with the Law of England and Wales and Meters UK Ltd and you agree to submit to the exclusive jurisdiction of the Courts of England and Wales.